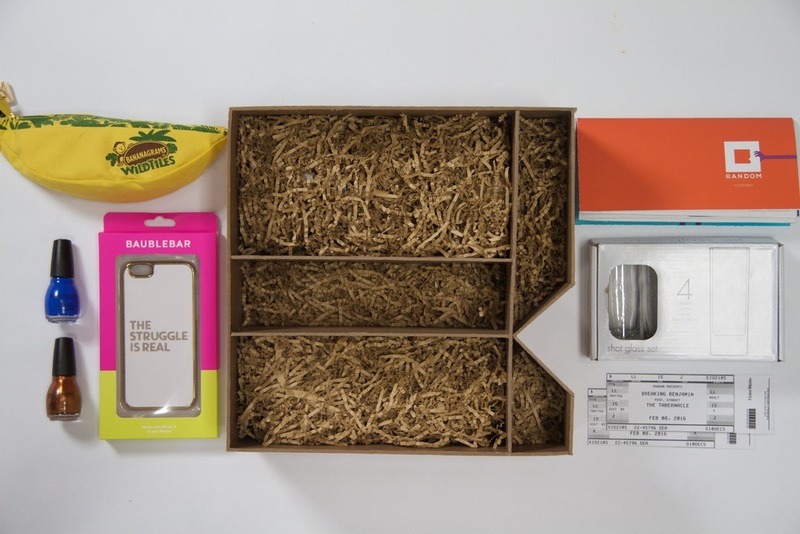 The best subscription box is one that knows what you like but won't box you into a category. 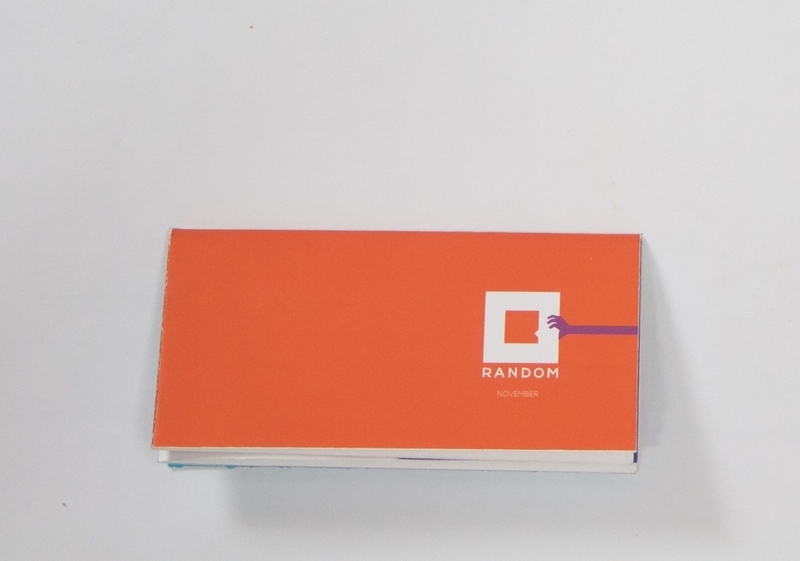 Random let's you like your way to the perfect subscription box. Start with a Random stumble on StumbleUpon website. 2. Press the center keys. 3. Get a surprise packaged especially for you. Yea we made it. Catchy song. RUN IT BACK! Outdoor ads will meet people at the subway, mall and on the streets asking each passerby to gif themselves. Once they have created their gif, they will have the option to apply a headline and share with friends grammatical errors and all. When you’re the new kid on the block the best way to stand out is by being worn on a chest or several thousand chests. T-shirts handed out at local college hot spots to pique curiosity. We use social influencers to discuss the finer details of what can be found in a Random Subscription Box. To get Random subscribers hyped we're offering a free personalized trip to whomever is able to collect all the subscription box letters that spell the word Random. The first subscriber to tag @Random in a Tweet or Instagram shot will win the trip. We pack up a shape shifting box of personalized goodies and send them to our new subscriber. After all the build up you should take peek. People read when there are pictures in the book or so we’ve been told by some first graders. Taking that sound advice, included in every shipped box is a monthly source of colorful and wordy entertainment about Random. If words in the form of sentences is too much pressure they will at least have a variety of posters to hang on their walls.